Neanderthals failed to adapt to the world around them; but what does it have to do with the size of your mobile device? 40,000 years ago, as Europe started a slow unsympathetic descent into an extended period of wintry weather, a great battle was being fought. Hidden in that battle and its survivors’ tactics are the key to the future and survival of business, technology and culture as we know it. I am of course referring to the period in our history when we modern humans were jostling for space with Neanderthals, a now extinct but closely related species. Our ancestors migrated from Africa into Europe during a period when Neanderthals were well established. 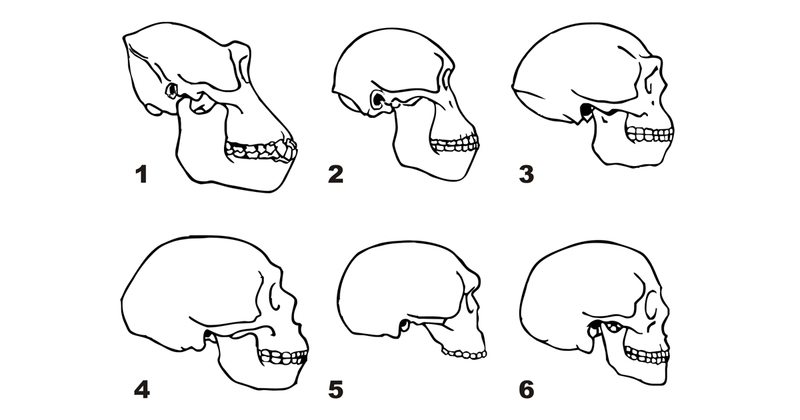 Neanderthals were physically stronger with a larger cranial capacity. Despite their advantages, here we are, descendants of the arguably weaker species sharing thoughts and stories over the internet with the marked absence of our smarter, stronger cousins. Why? Why are we here and not them? And what does this have to do with software and design, let alone analytics? Modern humans moved into Europe just as Earth’s climate started to cool down and food became scarce. Our cousins were picky eaters, but our ancestors quickly adapted their diet to the climate. Due to our competitors’ inability to switch diet and their inadaptability, we are here and they are not. This ability to positively respond to change is crucial in business. If we draw parallels with consumption of information, the rise of the smartphone along with the advent of higher resolution large screens has provided a wide canvas for users to consume content. Popularity of smartphones is not new. However, what has been notable, especially after iPhone’s release, is the demand from business users to use their own devices at work as opposed to using whatever homogenous, and provisioned monolith the enterprise hands out. Smarter IT departments adapted to change with BYOD strategies. Today, 74% organizations are either already using or planning to allow employees to bring their own devices to work. This would be fine, if the “devices” were uniform, with consistent screen sizes and resolution. This however, is not the case. 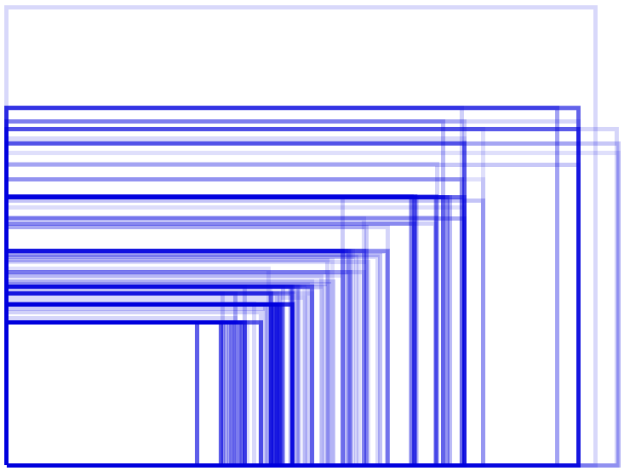 Take a look at this graphic below from OpenSignal.com, which maps out fragmentation in Android. The Neanderthal way, of course, would be to ignore change and continue with what has worked in the past. Deploy another native product specific to the most popular form factors and ignore outliers. Outliers are never interesting, right? Wrong! The modern and easier way to do this, also happens to deliver the most compelling experience. This modern way, is to use Responsive Web Design. At Qlik, we made an early bet on Responsive Web Design. We realized fairly early during the development of Qlik Sense that users must not be tied down to specific devices. Forcing users into a narrow set of platforms would be doing them a great disservice as it curtails freedom of choice. Responsive Web Design (RWD) allows developers to craft experiences that can span across many different devices and screens adapting fluidly to each screen size and resolution and optimizing experience on each layout by using HTML5 and CSS. Responsive design allows us to bake smartness into every user interface element within Qlik Sense. Whether you deploy Qlik Sense on a Nexus 6, or an iPad, you get the most out of the product. What’s more, since Qlik doesn’t develop for specific devices but rather based on capabilities of devices, all your investments in Qlik Sense are insulated from large tectonic shifts in user behavior. If your users suddenly decide that device X with a completely new operating system from the future is compelling, and start buying these devices in large numbers, you need not worry. All your users will need to get going on their new devices is a browser! Neanderthals wish it was this simple for them!